A small guide to ease both new and returning Souls players in. Sekiro: Shadows Die Twice has been out for three weeks now, and suffice it to say that as with other FromSoftware titles, Sekiro has its fair share of players frustrated at the game’s high difficulty. 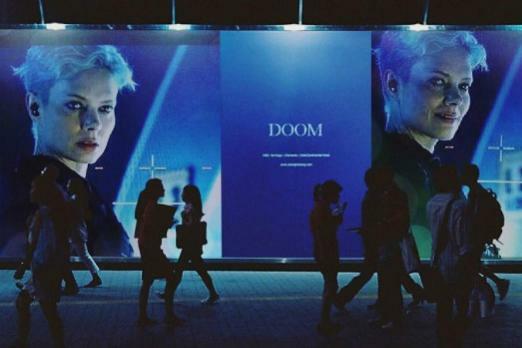 That’s not to say that the game is impossible though; a week after its release speedrunners – most of them from the Souls community – are already trying to set records and shave time off their playthroughs, all in an effort to be crowned the fastest. 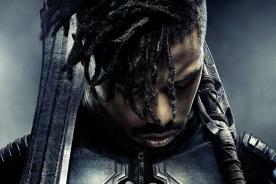 Some players are also trying to set limitations on their runs, either by doing a run without healing a single time, finishing the game in the fewest number of bosses possible, and – for the truly masochistic – finishing the game without taking any damage. But for the rest of the playerbase that find the game to be a highly frustrating tightrope act between balanced and outright unfair, there is nothing worse than being stuck on a miniboss or boss and not knowing how to proceed next. You feel like you’ve exhausted all your options, and you feel like you’re at the end of your rope. A few more tries and you’ll probably decide to call it a day, and just quit. Before you do decide to do this, though, know that you are not alone in your struggle. 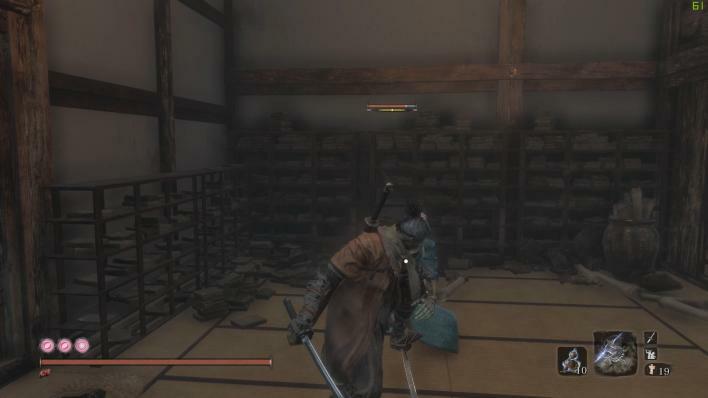 Here are some general tips and tricks regarding swordplay that will help you be a better Sekiro player. I cannot stress this enough, as somewhat of a veteran to the Souls series: Sekiro is a fundamentally different game to any Souls game, core loop-wise. A typical Souls fight will play out as a dodge-hit-dodge affair, and you will most likely spend most of the fight looking for openings in enemies’ patterns. 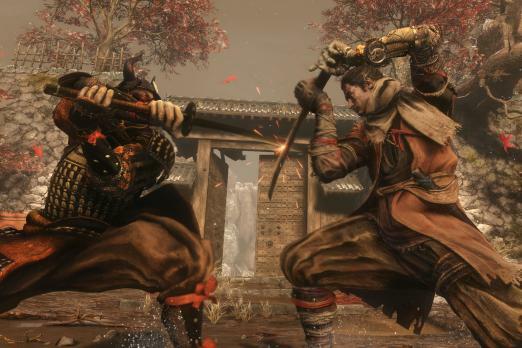 Sekiro focuses on sword play more than its dodge mechanics. 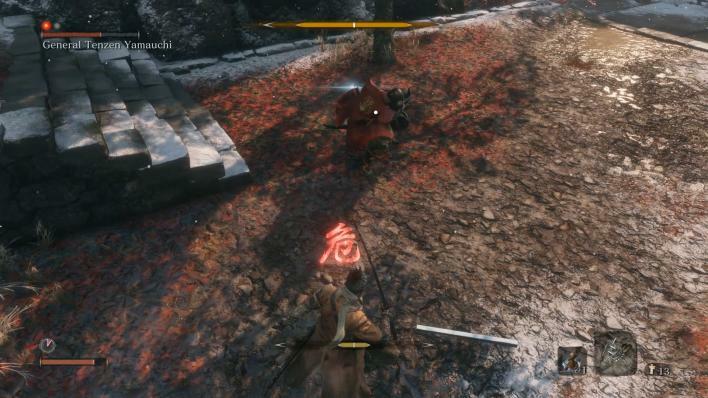 If the dodge button was your crutch in the Souls games, then the deflect button is your crutch in Sekiro. Swords, spears, axes, bullets, arrows – almost everything in this game can be deflected. Learning how to time your deflects much like you did your dodges in a Souls game is key to understanding its mechanics. Unironically, if this is your first FromSoftware game, you will already have an edge over returning Souls players; it takes quite some time to unlearn dodging as a core mechanic, as opposed to starting fresh and learning how to deflect right out of the gate. At any point in the game, you can press the deflect button (L1 or LB). You can also hold it, although this will constitute as a block. The game rewards you for timing your deflects perfectly, by filling up the attacking enemy’s posture bar and keeping yours relatively intact. Blocking, however, will not fill up the enemy’s posture bar, and will fill up yours instead, although it is easier to do. Deflects are relatively instant. You will want to press it just before the enemy’s attack animation hits you. Most of the time, timing is key, but the game is a bit forgiving in that there is a window of frames beyond perfect deflection in which you also deal posture damage, albeit not as high as a perfect one. Blocking also refills your posture faster than just standing. 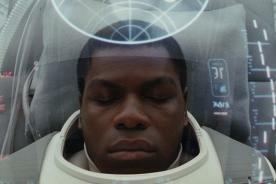 If you happen to catch a break during a fight, just hold the deflect button to replenish your posture. 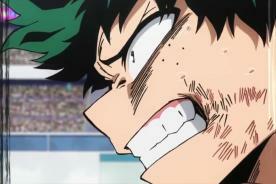 If you are having trouble timing your deflects, it actually helps to start from a blocking stance, then to re-press the deflect button once an attack hits; this way, if your timing is off, the attack will either register as blocked, which the worst case scenarios is you take posture damage, or a partial deflect, in which case you deal some posture damage, or possibly even a perfect deflection. Grab attack : These attacks should be dodged, and can be punished by a quick dodge counter-attack. Tracking is extremely heavy in Sekiro, so it is imperative to dodge at the very last moment before the animation hits you. Alternatively, you can run away and wait for the animation to finish before jumping back into the fray. Sweep attack : These are low attacks which cannot be deflected outright; the only way to avoid them is to jump over them before the animation connects. Of the three perilous attacks, this is arguably the easiest to avoid and punish. To counter this move effectively, you will need to perform an aerial kick, which deals posture damage to enemies. Pulling this off for enemies that do sweep attacks is extremely helpful. Be careful though, as moving constantly will mess up your positioning and you might end up missing the kick. The best way to ensure it connects is to stay still during the sweep animation and not move during the jump itself. That way, you’ll land at the same place and connect the aerial kick. Thrust attack : Stabbing attacks that can be deflected, but only by a perfect deflect. Partial deflects will not work, as well as blocking. Enemies with spears will more than likely use perilous thrust attacks, as well as the Interior Ministry soldiers (those dudes drabbed in purple). The perfect deflect will deal posture damage and avoid any damage to your health. There is a very special counter to this, called the Mikiri counter, which will be discussed in the next section. The kanjis used for all perilous attacks are all the same, so in order to know what attack is coming, you must look at the wind-up animation. All perilous attacks have this, and you can mostly gather from that animation what attack is going to hit you so you can react accordingly. Other than this, it’s also worth noting the weapon the enemy is using; spear users are more likely to do thrust attacks, enraged enemies are more likely to do grabs, and sword users do thrusts and sweeps. This is perhaps the most useful skill in the game, and also one of the coolest looking. 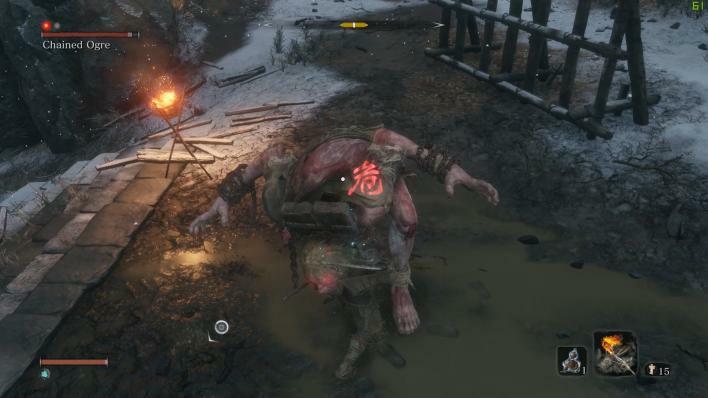 The mikiro counter is used to counter the perilous thrust attack, with Sekiro stomping on the thrusting weapon before it hits him, dealing a lot of posture damage. Mikiri is basically essential, and you should always get it as soon as you can. Instead of trying to perfect deflect a perilous thrust, Mikiri makes it so that you simply have to dodge into the attack. If all goes well, the thrust animation will hit you in the middle of your dodge, and you will have successfully performed the Mikiri counter. Knowing how to time your Mikiris can make or break your duels with enemies, so be wary of any whiffs or delays in their patterns. The window for a successful Mikiri counter is a lot bigger than a perfect deflect, so mastering it will pay off in the long run. Too bad that the game is at its end once you hear these words. 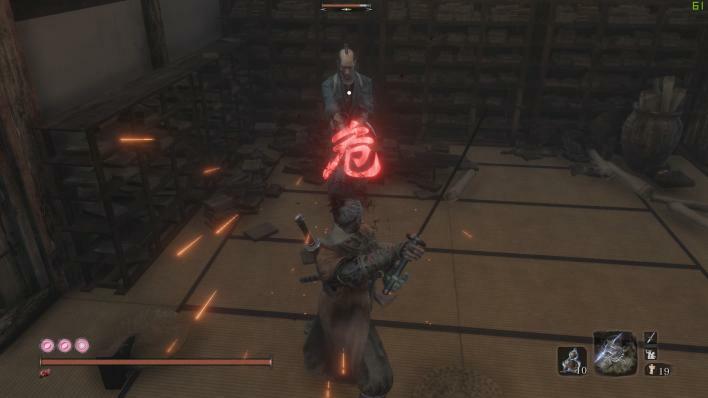 Sekiro plays a lot differently from other major Souls titles, as it is always in your best interest to be as aggressive as you can be, without forgetting to deflect as needed. This means that instead of playing reactively for the whole fight, you must always be the one to set the pace, and time the enemies’ reactions as needed. I hope that this little guide helped! This is meant to ease you into the game's mechanics as opposed to teaching you how to outright beat minibosses and bosses, but there will be a guide for those in the near future. 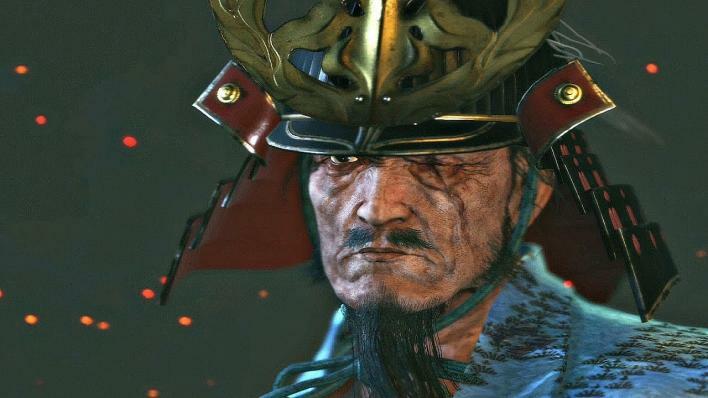 For now, always remember that experience is the best teacher, and perserverance is the name of the game if you want to beat Sekiro.